Rung as a 70th Birthday Compliment to Dill Faulkes. First odd-bell peal as conductor: 7. First submitted Sunday, 16 March 2014 at 19:23:45 by Andrew J Graham. 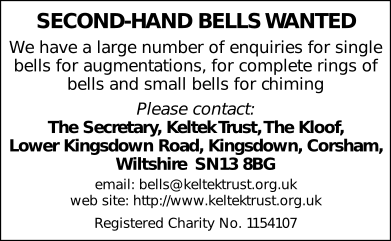 Sent for publication in The Ringing World on Monday, 17 March 2014 at 10:55:15, and printed in issue 5371, page 337. This performance has been viewed 2443 times.